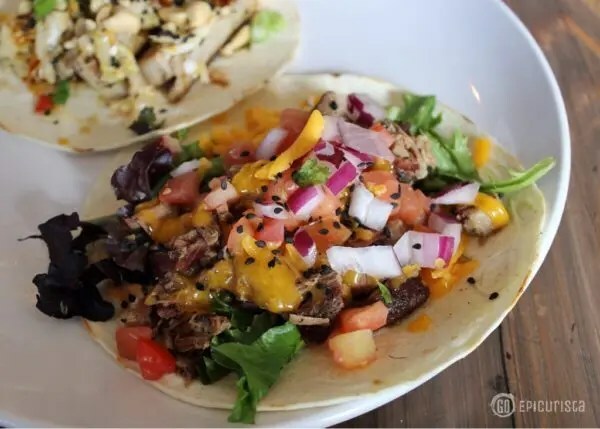 Tacos, one of the most perfect street foods around, have gone from simple tortillas filled with ground beef, iceberg lettuce and shredded cheese to inventive taco creations topped with everything but the kitchen sink. Where to find great tacos in Orlando? Here’s a few that will thrill and satisfy. I recently gathered a group of Epicurista friends and headed on an ambitious trek in search of delicious yet inventive tacos. 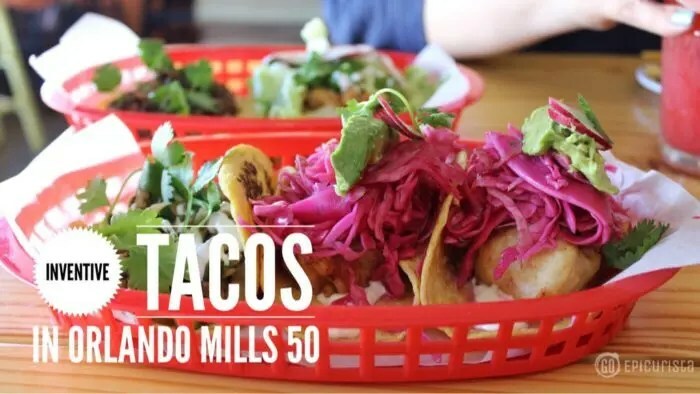 We attempted a taco crawl visiting what I call the “Taco Trifecta” in the Mills 50 District of Orlando, Florida. We were successful in discovering new favorites among these anything-but simple tacos. Yet, failed to indulge in all three as planned for our culinary-tasting ambitiousness turned out to be much bigger than our stomachs. Along the street-art filled streets of the Mills 50 district, known as the intersection of creativity and culture, you’ll find three restaurants known to locavores for having some of the best and most inventive tacos in town. 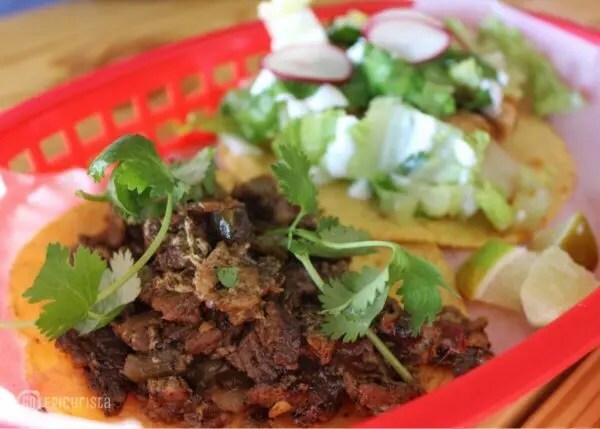 To say that Black Rooster Taqueria, Pig Floyd’s Urban Barbacoa and Tako Cheena have a cult-like following is an understatement, but don’t dismiss them for being “too hipster” or you’ll miss out. 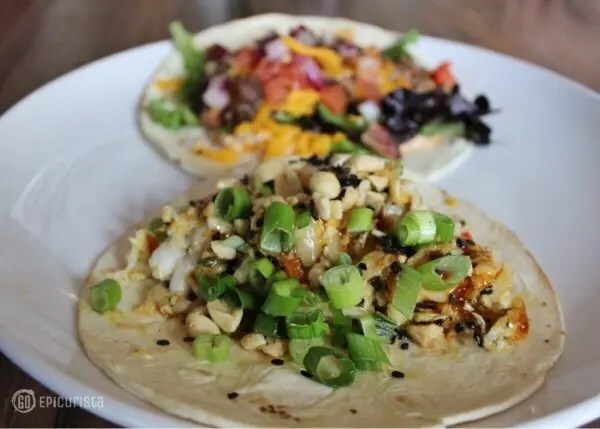 These fast casual taco favorites are all within walking distance along Mills Avenue, hence my attempt at a taco crawl. Chef John Calloway, wife Juliana and almost 4-year old son, Ryder, their ‘Chief Tasting Officer’, introduced their “Farm to Taco” concept in early 2016. A modern take on traditional Mexican street food using fresh local ingredients. 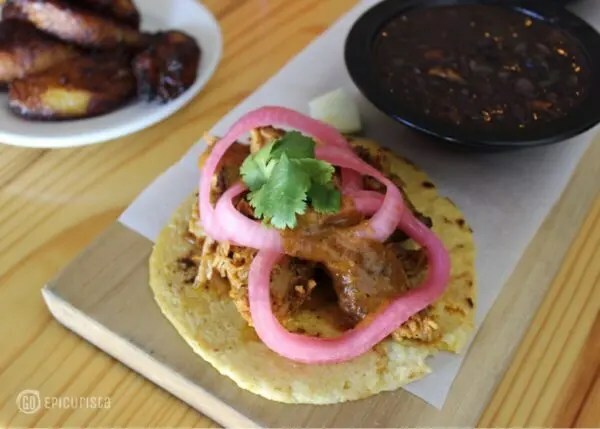 The hand-made organic corn tortillas filled with savory proteins like achiote pork shoulder slow roasted in banana leaf, grilled carne asada, and crispy Ft. Myers red grouper with loads of pickled red cabbage and avocado, will transport you to the Mexican Riviera. The day of the dead décor, local art, twinkling lights, and rustic tables built by Chef John from repurposed materials provide all the charm in this homey space. 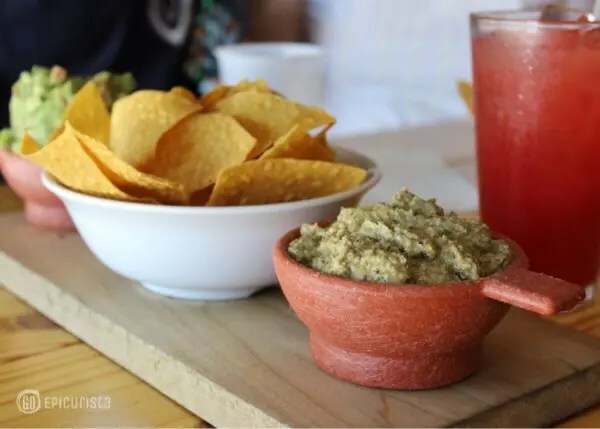 Although there for the tacos, we had to start with a few dips served with house made tortilla chips. The pumpkin seed dip with tomatillo, onion, garlic, cilantro and blood orange was unique. A savory blend of nutty rich flavors. Who knew pumpkin seeds would make a great dip? Obviously Chef John did. Pumpkin Seed Dip, who knew? 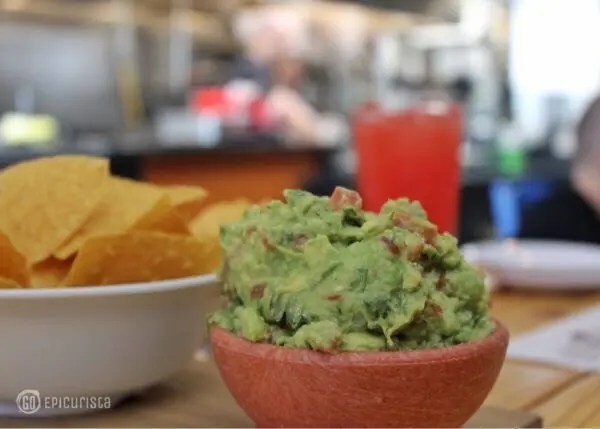 It would seem wrong not to try the made-to-order guacamole in a taco joint. The generous portion had the perfect chunky consistency of fresh avocado, tomato, onion, and cilantro with the right touch of spice from Serrano chiles. The dips and fresh chips were too good to resist and you can’t have just one chip can you? Achiote Pork Taco with pork shoulder slow roasted in banana leaf, topped with pickled onion, cilantro and habanero salsa. Loaded with tender meat in that distinctive red sauce and the perfectly pickled onion, it didn’t need much else. Black Rooster Asada Taco with seared beef, apple wood smoked bacon, Oaxaca cheese, and pickled chile poblano was a meaty treat. Adding a touch of guacamole made the flavors pop. 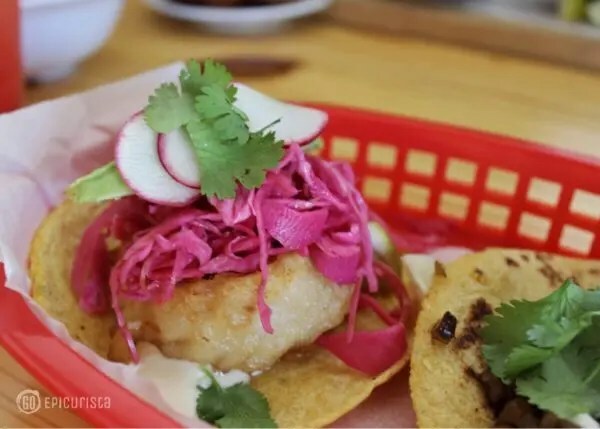 Crispy Fish Taco with Ft. Myers red grouper, pickled red cabbage, avocado, mayonnaise and cilantro had all the fresh bright flavors and colors you expect in a fish taco, enough to make you wish you were eating these with a cold beer on a beach in Mexico. Fish Taco & a beer anyone? Vegetarian Taco filled with shiitake mushrooms, onion, zucchini, epazote and crema fresca is so hearty you will not miss the beef. VegetarianTaco is every bit as tasty as the meaty ones! We could not resist ordering a few side dishes. I suspect this may have been the nail in our taco crawl ambition coffin and the reason we couldn’t finish our journey, but they were worth it! 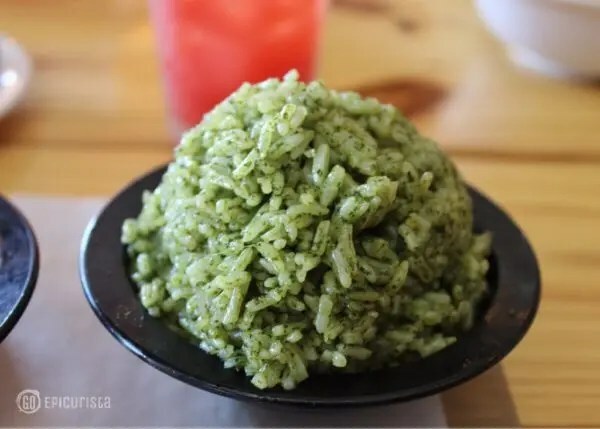 The cilantro poblano rice had a lovely bright flavor from the cilantro. Not overpowering and the rice was flaky as it should be in Latin cuisine. The vegetarian black beans loaded with flavor from onions, garlic, bell pepper, epazote, and cilantro were enough to have on their own. 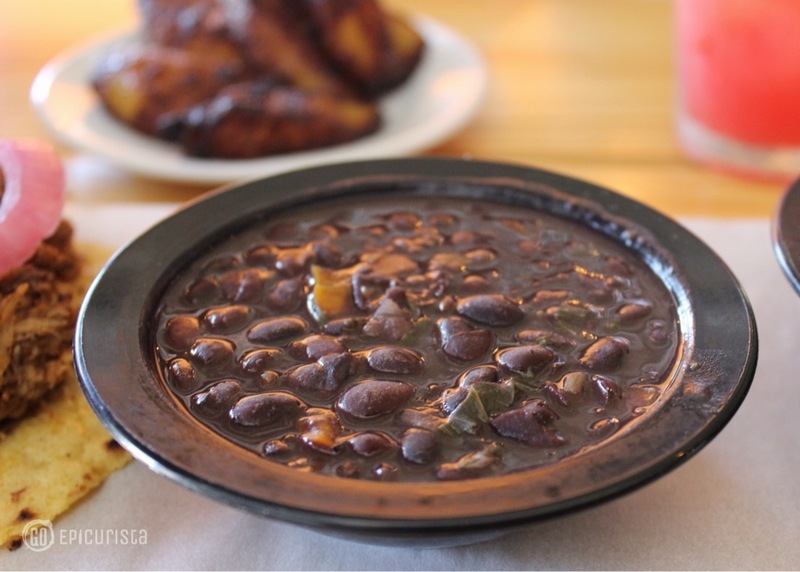 Almost like a rich black bean soup. The sweet plantains or ‘maduros’ are a must! The best version of this dish I have seen outside of the Caribbean where I grew up. 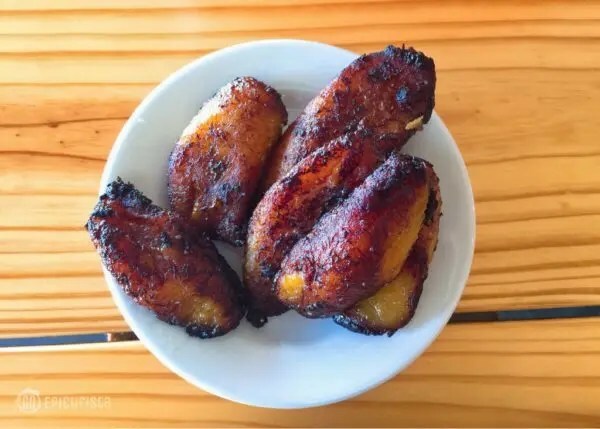 Perfectly ripe plantains, fried to an almost charred extra crispy outside and soft gooey and sweet inside. They are like dessert but better. It’s a side dish so no dessert guilt involved. For a thirst quencher, the fresh fruit agua fresca made in house is perfect, especially with our Florida heat. The Watermelon-Citrus made with fresh watermelon from Immokalee, Florida, was refreshing with a perfect touch of sweetness. They also offer a house made blend of ice coffee, Mexican bottled sodas, and a variety of beers. The menu features sopes, salads with your choice of protein, and bowls made with slow cooked beef or pork shoulder. For dessert, I hear the chocolate chipotle flan with peanut butter and blackberry sauce is a must but alas, we needed to save room for our next stop on the taco crawl. It’s always a thrill to find a place with plenty of other options on the menu I must return for. For more info, check out blackroostertaqueria.com. Located on 1323 North Mills Avenue, Orlando. We made our way across a busy Mills Avenue to Pig Floyd’s Urban Barbakoa, a BBQ joint known for hunger-defying slabs of tender ribs and smoked brisket. 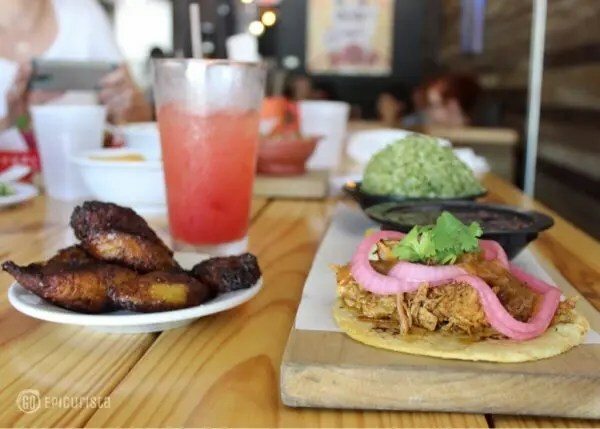 You may find it odd to discover inventive tacos in a BBQ restaurant but owner Thomas Ward’s Puerto Rican heritage and flair contribute to an eclectic, flavor-packed menu offering something for everyone. Pork Belly Taco with oakwood smoked & grilled pork belly, dragon sauce, citrus peanut slaw and scallions on a warm flour tortilla was our top favorite. Because, well, pork belly! Pork belly may or may not still be trendy but who cares, it just tastes delicious. La Vaca Tahkaw with smoked and braised brisket, lettuce, tomato, red onion, cheddar cheese, toasted black sesame seeds and fry sauce was a fun take on southwestern flavors. Did you say brisket taco? The Shrimp & Sausage Taco with sautéed shrimp and Mexican chorizo and the Butter Chicken Taco with spiced chicken tikka are the ones I will try next time. The Black & Tan and Cuban Banana pudding desserts are way better than anything your momma fed you as an after-school treat but every bit as nostalgic. Soon Lake Nona residents will welcome Pig Floyd’s to the neighborhood as a lease has been signed for a second location. Exciting news! For more info, check out pigfloyds.com Located on 1326 North Mills Avenue, Orlando. 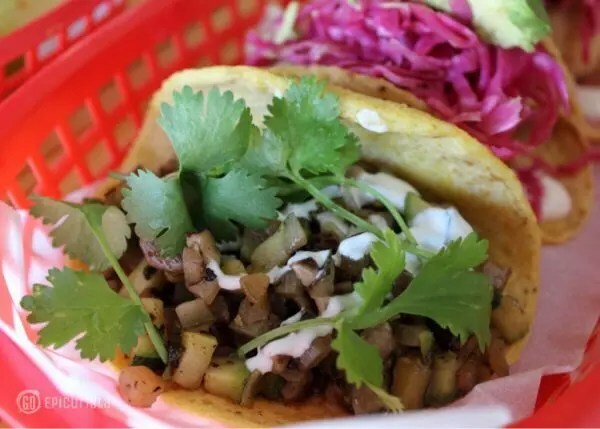 A bit further down the street, Tako Cheena, billed as “where food truck meets restaurant”, has been a late night crowd favorite since opening in 2011. 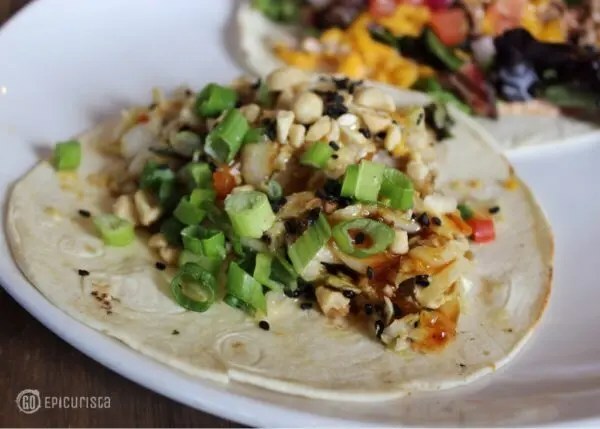 Their Thai, Filipino, Korean and Latin infused tacos are every bit as unique as they sound. The Thai peanut chicken, Indian yellow curry dusted crispy tofu with purple cabbage, and panko crusted cod takos topped with a plethora of house made hot sauces, satisfy any hour of the day. Just take a look at this photo from my friend Lisa Wilk of TasteCookSip.com for our inspiration. All the more reason, to return to Mills 50 District and indulge in this taco heaven. For more info, check out takocheenaorlando.com Located on 932 North Mills Avenue, Orlando. Have you attempted a taco crawl? Were you successful? Although we were not completely successful (two out of three ain’t bad! ), we had a blast. It’s a fun way to spend an afternoon in Orlando’s Mills 50 District. Plus the area, with its eclectic shops and street art everywhere you look, is a must visit for both locals and Orlando visitors wanting a taste of the local scene. Happy Taco Tuesday and National Taco Day! Go celebrate tacos and friends!